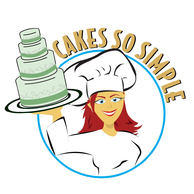 Linda Lee and her team at Cakes So Simple create cakes for all occasions. Whether the special event calls for a wedding cake, groom cake, birthday cake, shower cake, novelty cake, or even cupcakes, Cakes So Simple will create unique and one-of-a-kind designs to satisfy their clients needs and wildest dreams. It takes imagination and loads of artistic talent to for Linda and her team to pull off some of their amazing creations. Be sure to try some of Linda Lees famous cookies and cake pops, too. Browse the galleries HERE to get ideas for your the dream cake for your special occasion. In addition to creating beautiful cakes, Linda Lee shares her experience to help you coordinate your wedding cake design with the rest of your wedding decor. She will remind you that the second most photographed thing at a wedding is the cake! Obviously the bride is first, but the groom will have to take a back seat to the cake. “So let’s make that cake live up to its expectations,” says Linda Lee. 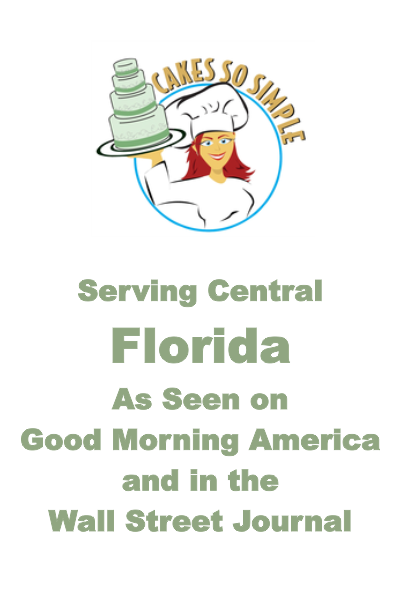 Cakes So Simple has created cakes for Coco-Cola, Milk Bone, Florida Institute of Technology, Brevard Walk of Fame, Nana’s House plus thousands of satisfied individuals. “No event is too large to too small for our team,” says Linda Lee. “We serve every client with the same enthusiasm and desire to satisfy.